Alcohol helped all of this tremendously, but then I couldn’t do anything without it. Now when I socialize I tend to go into a safe corner, and people come to me. 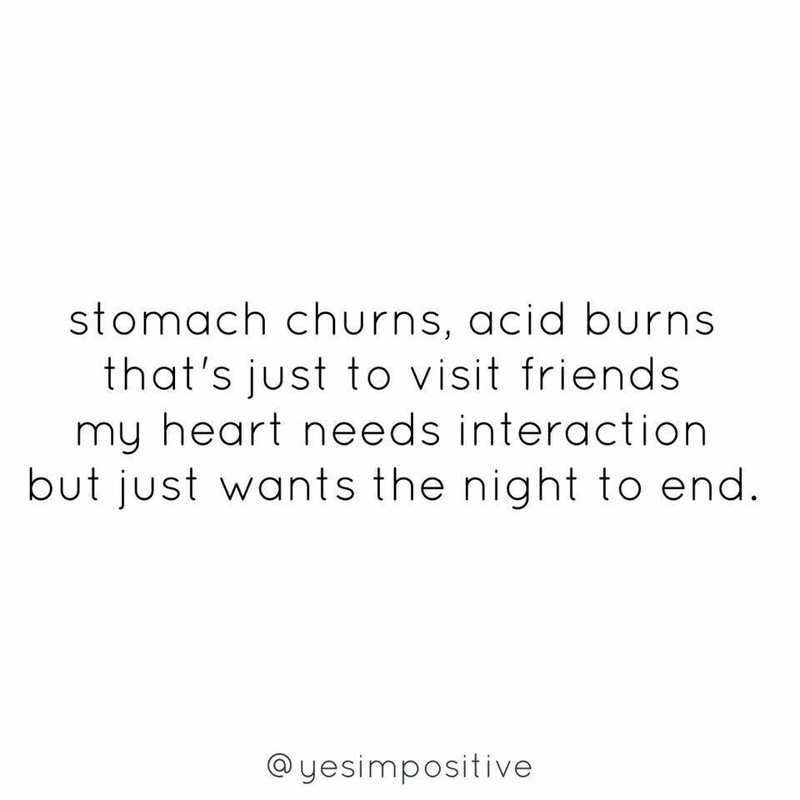 That stomach churn though, it never goes away no matter how awesome I’m handling life!